According to state records, two greyhound trainers and an assistant trainer have been suspended at Southland Greyhound Park after they failed to report the death of a dog. The greyhound, which is not named in official records, died while being transported to the track to race. On April 14, 2012 a kennel at Southland received seventeen dogs. When the hauler arrived at the facility, it was discovered that one greyhound had died during the trip. After the dead dog was discovered, assistant trainer Will Rogers and greyhound trainer Gerald Love transported the body to a local veterinary clinic. Later that night, Southland track officials learned of the incident and questioned Rogers along with greyhound trainer J.J. Moore. Moore was the licensed trainer responsible for the kennel that the dog was being sent to. 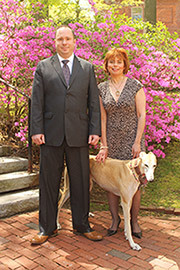 Under questioning, Rogers and Moore indicated that they did not report the dog's death because they did not have the necessary phone numbers, and did not believe the track's policies regarding deceased greyhounds applied to the incident. Rogers also claimed that the hauler was in a parking lot outside the kennel compound when the dead dog was discovered. Greyhound trainer Love was also questioned and supported the statements made by Rogers. After these initial interviews, track officials uncovered proof that Rogers was lying, and the dead dog was in fact discovered inside the kennel compound. Rogers then submitted a letter to track officials in which he stated that he had "lied" about the incident and apologized. Trainer Love then also recanted his initial statement, and said that he and Rogers had "discussed the situation before hand in order to get their stories straight." For their part in the cover up, Rogers and Moore were both fined $1,000 and suspended for six months. Love was fined $250 and suspended for two weeks. As sad as this incident is, it does raise an important issue about transparency. 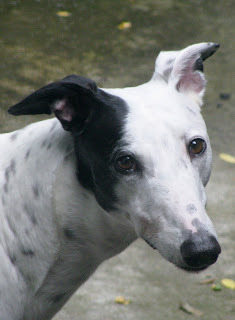 Perhaps it is apropos that the greyhound who died in this case remains nameless. This dog had a name, a family, and a story. Now, however, he or she is just another nameless greyhound who died for the racing industry. when all this will have a end? how many innocent lovely souls must die again and again just for money? He lied! Why isn't that a surprise.